The Ellipse, named after the center bar built into the tread, is a compliment to successful tires such as the Dirt Webs and Bar Codes. 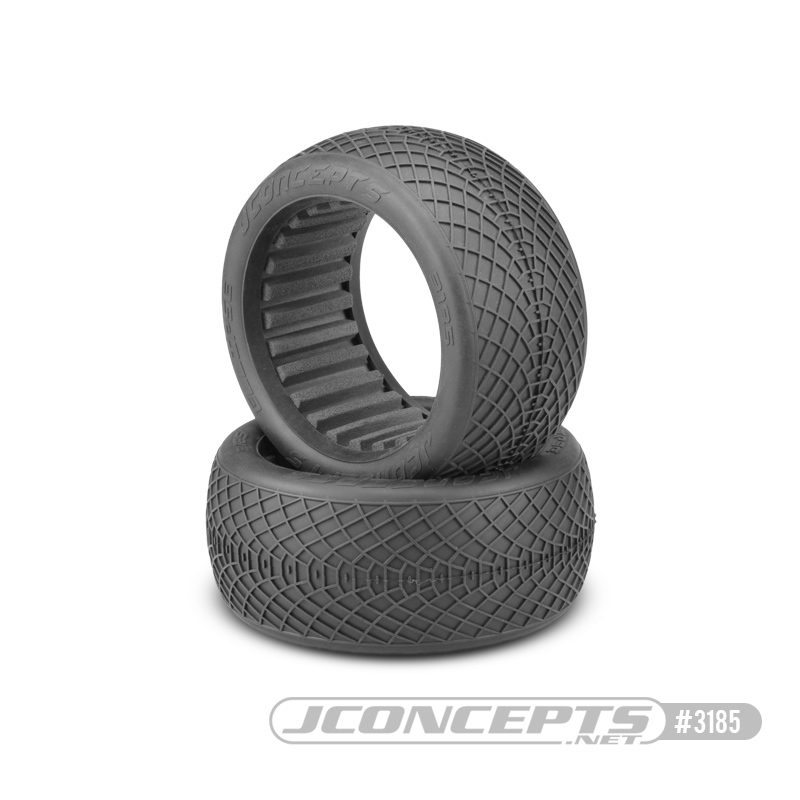 The “Web” style tire was built to compete on smooth high-grip indoor and outdoor surfaces which require a finely detailed connected bar pattern. The center section of the tire is a home run utilizing a diamond “home plate” footprint to provide massive forward bite and increased longevity. The web of extensions are unique and have a directional touch giving the racer the ultimate tune-ability. The Dirt Web tire was originally released during the 2013 racing season and debuted in spectacular fashion with a win at the CRCRC Midwest Championships. Since that time, the Dirt Webs have been an industry leader for indoor performance and often chosen as a control tire for performance, reliability and consistency. The Ellipse has already shown success in the hands of Ryan Maifield taking 1st place in the 1/8th truck class at the 2018 ROAR 1/8th E-Nationals. The compound of choice for most indoor events, the exclusive gold compound, has shown to produce consistent results for racers week after week. Included in each package, the Dirt-Tech closed cell inserts known for their durable nature and gray color complete the race tuned package.